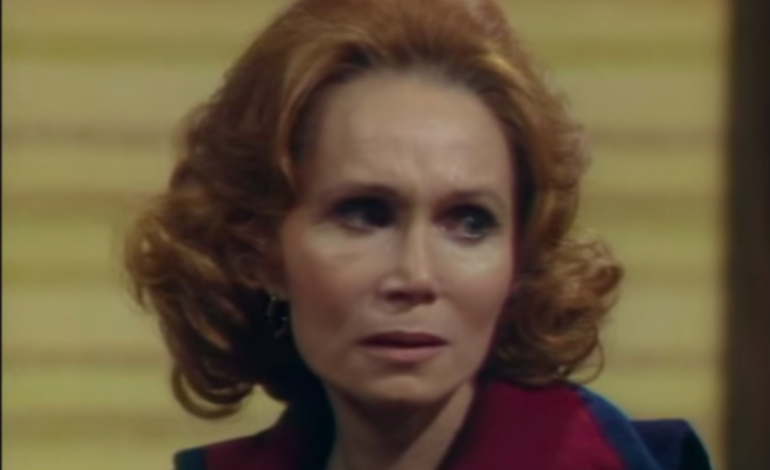 Katherine Helmond, who won the Golden Globe and was nominated for seven Emmys, has passed at the age of 89. She was most famous for shows such as Everybody Loves Raymond, Who’s the Boss? and Soap, as well as for her roles in movies such as Brazil, where she played the lady obsessed with cosmetic surgery. “She was the love of my life. We spent 57 beautiful, wonderful, loving years together, which I will treasure forever,” Her husband, David Christian, stated. “I’ve been with Katherine since I was 19 years old. The night she died, I saw that the moon was exactly half-full, just as I am now… half of what I’ve been my entire adult life.” Helmond passed away Saturday February 23 in Los Angeles. She died of complications due to Alzheimer’s, according to chief marketing and communications officer for APA, Manfred Westphal. That move was her impetus into the television and film industry that lasted 50 years, during which time she won two Golden Globes as well as several Emmy nominations. Her first Globe award was in 1981 for her role on Soap as Jessica Tate, both lovable and naive. Her other Golden Globe award was for her role as Mona Robinson on Who’s the Boss? in 1989. Her co-star Tony Danza named her “a national treasure,” and Alyssa Milano considered her an “instrumental part” of Alyssa’s life. Concerning her career, Helmond spoke strongly of her love for acting. “I felt I blossomed as a person when I got a chance to act,” she said. “Through all the many years now, I’ve never fallen out of love. It’s been like an incredible marriage that really worked. I enjoyed every minute of it.” A memorial has been planned for friends and family. Watch a clip of one iconic scene from Soap below.